Lots of species of fish like luncheon meat but it can be quite difficult to use as line passes through luncheon meat far to easily as can hooks. Making a luncheon meat hair rig is very easy and very effective. 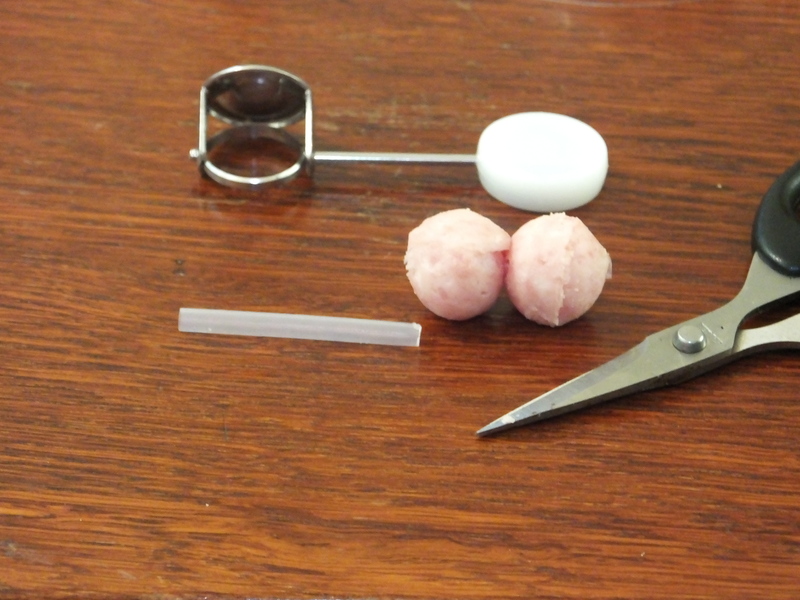 First though lets have a look at the luncheon meat itself, you can use standard meat cutters to produce equal sizes of luncheon meat cubes and the size depends on the size of the wire used in the cutters. So onto the actual rig itself, a good quality fluorocarbon makes a great hair rig and the Asso Fishing Super Fluoro is strong and abrasion resistant and is on eBay here --> http://ebay.to/2sDf2SV. You will want between one and three foot for your hair rig depending on whether you want a long or short hair rig. Make a figure of eight loop at one end. Next is the crucial bit to the rig and that is the Enterprise Tackle Meat Mate Hair Stops (on eBay here --> http://ebay.to/2sDoa9X), this pack consists of three lengths of firm tubing and eight specifically designed meat stops. Push your luncheon meat onto the tubing which in this case is two of the meat balls we made and then cut the tube so that it is the length of the luncheon meat. 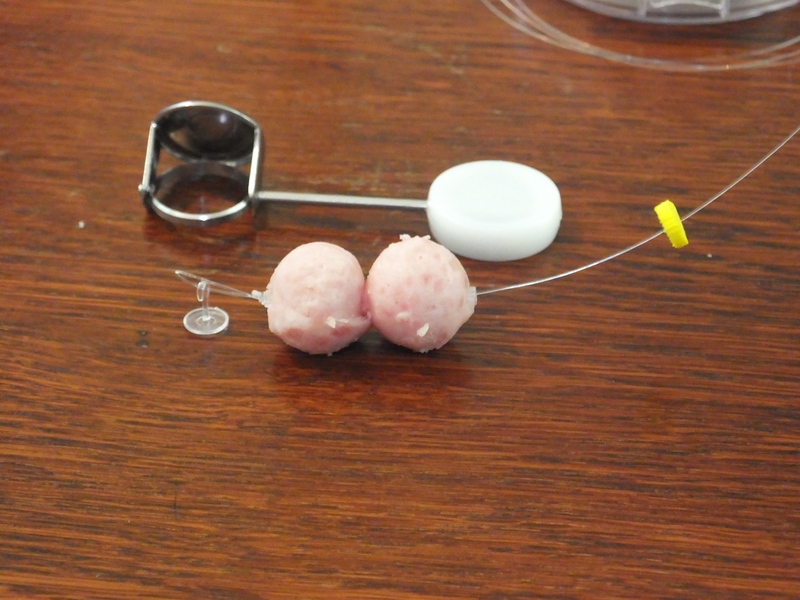 Push the luncheon meat out of the middle of the tubing using a baiting needle and then using the baiting needle pull the loop you created in the fluorocarbon back through the tubing. Put the specially designed meat stop through the loop of fluorocarbon and pull it back into the tubing giving a nice firm fit. 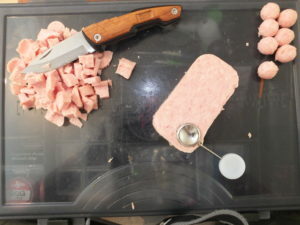 Thread a piece of foam onto the other end of the fluorocarbon and push it right up to underneath the luncheon meat to help keep it in place against the meat stop. You will also want a nice strong hook (especially if you fish a lake with carp and catfish), the Kamasan B775 in size 4 make superb hooks and are strong enough if you do happen to hook into a catfish. Push the loose end of the fluorocarbon through the back of the eye of the hook pulling it through until you have the hook at the distance away form the bait that you want. Making sure the fluorocarbon hair is level with the back of the hook and then wrap the loose line around the shank of the hook several times, pass the line through the back of the hook eye again and gently but firmly pull tight. 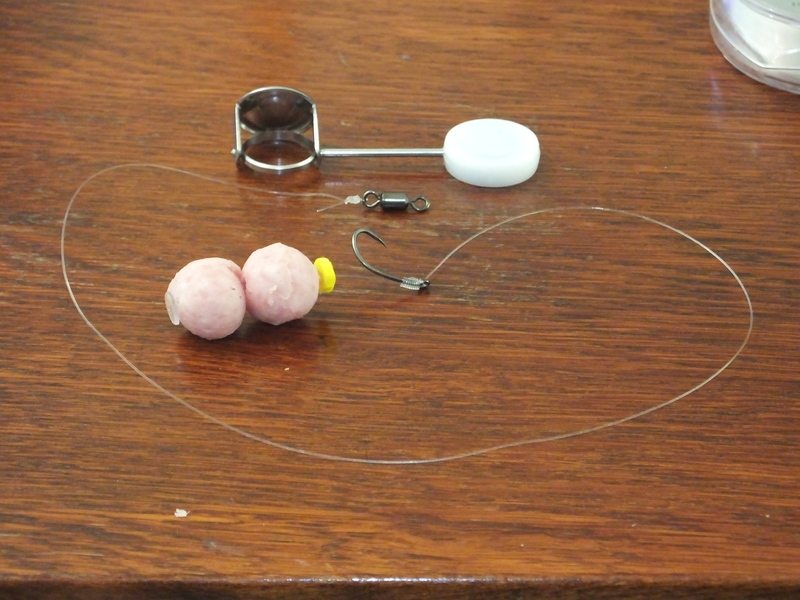 Finally use a uni knot at the other end to tie on a strong swivel and your rig is ready to be tied onto whichever lead or method feeder you want to use. This rig has already caught lots of carp and catfish and is proven to work. Give it a try and let us know what you think. As a last note please be aware that we only recommend using this rig for catfish upto 60lb, if you intend to use it for bigger catfish please have a look at products from Big Cat UK. How Do 'Ball Type' Line Clips Work?